The Government is aiming to bring wind power capacity to 1,000 MW by 2020 and 6,200 MW by 2030 with a view to optimizing the use of this renewable energy for enhancing the country’s socio-economic development and energy security. Do Duc Quan, deputy head of the Electricity and Renewable Energy Authority under the Ministry of Industry and Trade (MoIT), mentioned the goal at a workshop on the expansion of offshore wind power, held in Hanoi on April 9. The workshop was co-organized by the MoIT and the Netherlands Embassy in Vietnam. Quan went on to say that local demand for energy, especially electricity, will remain huge in the 2020-30 period. The overall demand is predicted to see a sharp rise while the supply of energy is facing various challenges, most worryingly the worsening depletion of fossil fuels, upward oil prices throughout the world, and the domestic market’s increasing dependence on global energy prices. In a bid to step up green growth and sustainable development, Vietnam has been accelerating wind power expansion with existing wind farms yielding a combined capacity of 197 MW. In addition, construction on many wind farms has began, which is expected to increase the total capacity to 263 MW. Many more projects are waiting for approval from competent authorities, once granted, these would achieve a total capacity of 412 MW. As much as 4,236 MW to be produced by wind farms nationwide has been added to the country’s power development plan while there are some 10,279 MW of wind power registered. The Netherlands has emerged as one of the world’s five leading nations in regard to the research and development of wind power. Last March, the Dutch government debuted a roadmap on offshore wind power expansion with the aim of reaching the wind power capacity of 11.5 GW by 2030, or 40 per cent of the national demand for electricity. Hans de Boer, President of the Confederation of Netherlands Business and Employers, expressed his high hopes on the future development of wind power in Vietnam. He noted that large-scale offshore wind power projects could help to ease the burden on the national electricity system. 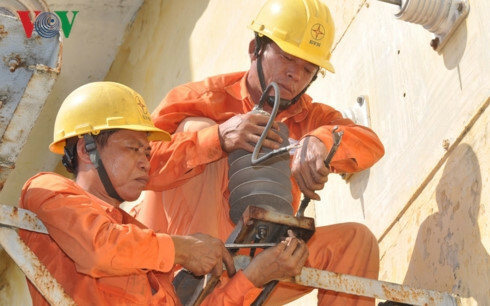 The Netherlands could team up with the Vietnamese side to outline a blueprint for sustainable development of offshore wind power in Vietnam while helping to install an efficient electricity system and grid connection as well as offering relevant refresher courses. Boer stressed that the Netherlands is willing to share its experience in researching, designing, and executing offshore wind farms. Though offshore wind power is provided with the preferential feed-in tariff of 9.8 US cent per kWh, many workshop attendees raised concerns about difficulties and barriers that hinder the expansion of wind power. A lack of reliable information sources on the potential for offshore wind power projects and the feasibility of grid connections once the projects are completed, are among the main concerns. Investors said that regulations prescribed in the Planning Law which came into force from January 1 2019 onwards, are posing a major hindrance to the progress of wind power projects. Many complained that it is rushed as the Government’s Decision No.39/2018/QD-TTg prescribes that the 9.8 US cent tariff is valid for wind farms which are connected to the national grid and put into commercial operation prior to November 1, 2021. The results of a recent survey by the Vietnam Chamber of Commerce and Industry (VCCI) point out that only 22 per cent of the questioned businesses in Vietnam said that Industry 4.0 has been affecting them while 32.7 per cent believed Industry 4.0 has yet to yield any impact on their business, but may do in the future. The VCCI survey indicates only 6.6 per cent of the domestically-invested firms held that they have sufficient resources to shift from their current out-of-date operating system to a cutting-edge one in the future. Meanwhile, 34.6 per cent of the surveyed enterprises said they will make step-by-step changes due to a lack of resources. Up to 27.5 per cent revealed they are in the process of mobilizing capital and resources for impending changes while 31.1 per cent admitted that they have so far done nothing to keep up with the Industry 4.0 trend. Phi Anh Tuan, Vice Chairman of the Ho Chi Minh City Computer Association, emphasized business digitization as an irreversible trend in which data is the most valuable asset and benefits them in a simpler and faster manner. Digitization tools and platforms, including artificial intelligence, machine learning, and big data would help to analyse data more efficiently, Tuan further said. During a Hanoi seminar highlighting the ways of enhancing digital transformation for businesses on April 11, delegates made the same point that digital transformation could interpret pronounced effects and businesses are not exempt from such impacts. Vietnamese tour agencies are reporting losses as they are unable to get visas in time for customers to travel to South Korea. Trang, owner of a travel agency specialized in South Korea tours, said that she has just canceled a tour of 26 customers because the South Korean embassy in Hanoi didn’t give them visas in time. Her company suffered a loss of VND200 million ($8,620) from that tour alone as they have to compensate customers, she said. The sudden surge in demand for South Korean visas in recent days has overloaded the country’s consular sections. In recent days, thousands of people have been lining up as early as 3 a.m. at the embassy to get their visas, after rumors began circulating that a relaxed visa policy for Vietnamese citizens is going to be changed. Dao Nguyen Xuan, representative of a Hanoi-based tour agency, said that her company has to pay in advance 30 percent of every ticket to South Korea, which is about VND6-7 million ($259-300). If visa approval gets delayed, her company will have to cancel the tours and lose its deposits, she said. The embassy earlier this year increased the time for issuing visas for tour agencies from 6 days to 10 days, but companies say they are having have to wait even longer. Some companies have even taken a chance and transported their customers to the airport in the hope that their visas will come in time, but this attempt has failed, forcing it to send customers back home. With most customers booking South Korea tours in the summer, tour agencies said that if the current situation persists, their reputation will be damaged and they will lose customers. These days, the consular department at the South Korean Embassy in downtown Hanoi gives out 300 tokens a day, but the number of people queuing up is estimated at around 3,000. The South Korean government started issuing C-3 visas to permanent residents of Vietnam's three biggest cities Hanoi, Saigon and Da Nang, without insisting on occupational priority, as part of its "New Southern Policy." C-3 visa holders can stay in South Korea for up to 30 days with no restrictions on the number of visits during the validity period of five years. Park Jong Sun, head of the Korea Tourism Organization (KTO) office in Vietnam, said over 100,000 Vietnamese visited South Korea in the first three months this year, up 30 percent from the same period last year, with the relaxed visa policy for Vietnamese having an effect. South Korea is one of the largest labor export markets for Vietnam. There were around 45,400 Vietnamese migrant workers in South Korea by the end of June 2018, the majority of them registered under the Employment Permit System, according to official labor reports. The banking sector has set a target of having 12-15 commercial banks apply Basel II standards by 2020 and at least one bank named among the list of the 100 largest banks in Asia. The goal was released at a conference launching an action plan on implementing the banking development strategy by 2025, with a vision towards 2030, held by the State Bank of Vietnam (SBV) on April 11. Nguyen Kim Anh, Deputy Governor of the SBV, said that the plan is aimed at modernizing the SBV’s organisation model and operating system in a comprehensive and efficient manner. It also enables the central bank to implement a number of key prioritised goals on curbing inflation, maintaining macroeconomic stability for the sake of sustainable growth, and ensuring the safe and legal operation of credit institutions (CIs). Domestic CIs are set to incline towards upholding their key role in credit growth; carrying out their trading activities in a transparent, competitive, and efficient manner; and diversifying their ownership structure, scale, and products. The scheme aims to gradually reduce the ratio of foreign currency credit to the total credit. More specifically, it looks to slash the ratio of foreign currency credit to the total means of payment to 7.5 per cent by 2020 and 5 per cent by 2030. In a long-term approach, the blueprint is to put an end to foreign currency lending in a bid to handle dollarisation and its effect on the economy by 2030. The implementation of non-cash payments will also be sped up with the optimal use of automated teller machine (ATM) and point of sale (POS) services. The ratio of cash to total means of payment would be kept at below 10 per cent by 2020 and under 8 per cent by 2025. The central bank is also looking to cut the ratio of bad debts to below 3 per cent of the total outstanding loans by 2020. In order to realize the targets, Deputy Governor Anh asked SBV units and CIs to regularly review their performance and the outcomes of implementation with a view of making timely adjustments and setting forth appropriate solutions. The upward inflation rate seen during the year’s first quarter was driven by hikes in energy prices, the Vietnam Institute for Economic and Policy Research has claimed. Headline inflation rates in January and February posted at 2.56 per cent and 2.64 per cent on year, respectively. In March, the ratio decreased by 0.06 per cent per annum to 2.7 per cent. The Vietnam Institute for Economic and Policy Research (VEPR) said in a statement on April 11 that the core inflation rate during the first quarter rose by 1.83 per cent, showing stable adjustments to the monetary policy. The national consumer price index (CPI) in the three-month period increased by 2.63 per cent, the lowest price hike seen over the past three years. In February, the CPI rose by 0.8 per cent due to soaring demands for goods during the Tet (Lunar New Year) holidays. In particular, restaurant and catering services edged up by 1.73 per cent against January while food increased slightly by 2.13 per cent. However, the price of many essential goods in March rose against the previous month. Transport fees went up by 2.22 per cent due to surges in petrol and oil prices from March 2 onwards. Gas prices jumped by 4.88 per cent while the costs of drugs and health services edged up 0.03 per cent. Vietnam’s economic growth in the second quarter of the year is predicted to face a number of inflation risks. Most notably, an 8.36 per cent surge in the average electricity tariff from March 20 onwards could result in a CPI rise of 3.3 per cent. Amid unpredictable fluctuations of commodity prices throughout the world market and the country’s environmental protection taxes on petrol products being enforced from January 1, the State Bank of Vietnam should keep a close watch on inflation risks in order to propose proper measures aimed at tackling risks, the VEPR said. A number of US-based corporations have shown their pleasure at Vietnam’s increasing administrative reforms which helped to make it an increasingly attractive destination with an expected upward path of investment inflows. 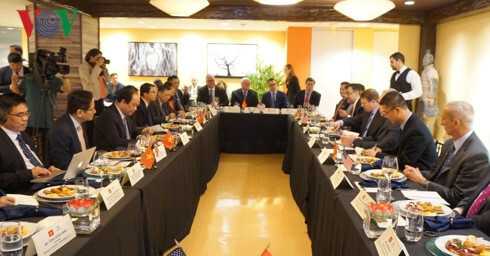 The US firms made the comments during round-table talks on April 10 with Mai Tien Dung, Minister-Chairman of the Vietnamese Government Office, during his working visit to the US. Representatives from US giants, including Google, AIG, Asia Pacific, and VISA took a big interest in gaining insights into the current investment climate of Asian countries, including Vietnam. They said they wish to update the country’s development blueprint in order to outline their further co-operation with partners in the nation. Chairman Dung briefed the US firms on some of the economic highlights Vietnam made during 2018, with GDP growth hitting 7.08 per cent, the peak level over the past decade. He stressed the fact that the Vietnamese government has fulfilled all 12 targets set for 2018; of which, 9 were above expectations. He asserted that bilateral relations between Vietnam and the US have been thriving in the past time while hailing the practical and comprehensive progress in bilateral ties. This can be clearly seen in bilateral trade turnover that soared by 18 per cent on year to US$60.2 billion during 2018, he cited. The Vietnamese official stressed that the Vietnamese Government has created many favorable conditions for US firms operating in Vietnam. Most notably, the Prime Minister has given his approval to amendments for an investment permit to the US investor’s Ho Tram project in the southern province of Ba Ria - Vung Tau. The Government leader has also allowed the Warburg Pincus private equity firm to get involved in an investment project advocated by billionaire Philip Falcone’s private hedge fund - Harbinger Capital Partners. Furthermore, the power firm AES Corporation has received approval from the Prime Minister to make investments in the Son My liquefied natural gas (LNG) complex of gasification terminal and power plant in the central province of Binh Thuan. Kurt M. Campbell, Chairman and CEO of The Asia Group LLC, expressed his praise for the US visit by Chairman Dung and his entourage. He affirmed that his company and its partners are eagerly seeking an in-depth understanding about business environment and future investment opportunities in Vietnam. 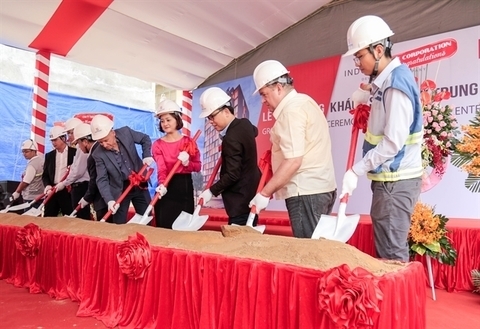 ICC-Kajima, a joint venture between Indochina Capital, and Kajima Corporation, Japanese overseas real estate developer, hosted a groundbreaking ceremony for the appointment of Newtecons, a subsidiary of Coteccons, as the main contractor for Wink Saigon Centre Hotel (Wink 75NBK), the first Wink Hotel in Viet Nam. Wink 75 NBK will be located in the HCM City’s District 1 with 237 rooms. The hotel aims to offer modern design, a coworking space, innovative food and beverage concepts, cutting edge technology and minimalist guestrooms. Newtecons has worked on a series of projects in Viet Nam, including Landmark 81, Masteri Thao Dien, Casino Nam Hoi An and Forest in the Sky Residences at Flamingo Dai Lai. ICC-Kajima expects Newtecons to complete their work in November 2019 and is currently tendering the MEPF package for the project. Wink 75 NBK is set to open in the first half of 2020. Regent Garment Co has received approval in principle from Hai Duong People’s Committee to develop its third garment production factory in the locality, at a cost of US$39 million. Located in Nguyen Giap Industrial Complex in Tu Ky District, the factory has designed capacity of 28 million products annually, creating 4,900 local jobs, online newspaper baodautu.vn reports. Previously, the company – an affiliate of Hong Kong’s Crystal International Group – had built two similar factories in the province. Based in Nam Sach Industrial Zone (IZ), the first worth $64 million, came into operation in 2006 while the second, valued at $124 million, opened its doors in Lai Vu IZ in 2014, providing 170 million products each year. The province has attracted lots of investment in recent times, according to the provincial IZ Management Board. As of October 2018, the province granted licences to 13 foreign-invested projects worth more than $103.3 million and approved additional capital of more than $318.6 million to 32 other projects. During the period, it also licensed seven domestically-invested projects with total capital of VND642.6 billion, and revised five others up by VND71.53 billion. This year, the locality plans to grant licences to 20 foreign-invested projects worth about $100 million and adjust the capital of 20 others by roughly $100 million. Three domestic projects valued at about VND100 billion are also expected to be licensed, while nearly VND50 billion will be added to two other projects. 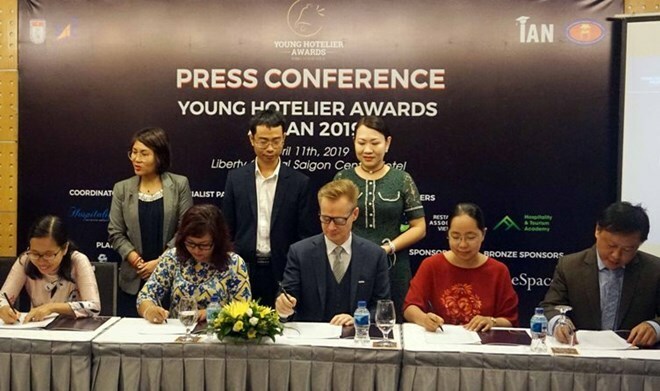 The second edition of the Young Hoteliers Awards ASEAN was launched in Ho Chi Minh City on April 11 to seek young talents in tourism and hospitality. 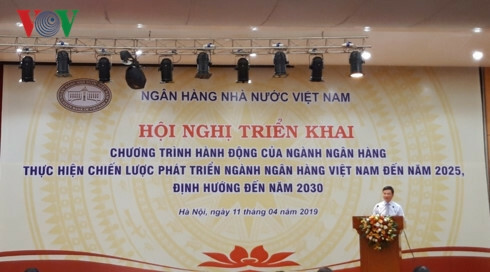 Vice Chairwoman of the Ho Chi Minh City Union of Friendship Organisations Tran Hoang Khanh Van said the contest was held for the first time in 2015 on national scale only. This year’s event was expanded to Southeast Asia to create a dynamic and professional background for young innovators to demonstrate their ideas. The competition will take place from April 12 – August 8 with qualifying, semi-final and final rounds, open to citizens aged 16-25 from Southeast Asian nations. They will compete in three-member teams and write and speak in English. Entries should be sent to the website http://yha.hospitality.edu.vn from April 12 – May 31. Each team must send a brief report on their ideas on one of the topics: tourism, cuisine, restaurant-hotel services, as well as technological application in the field. The best 30 teams will enter the semi-final round, which must submit short films, recordings, infographics, photos, slides, or music videos and make English presentations. The best eight teams will move to the final round, which will chose the first, second and third prize winners. During the competition, participating teams will receive support from consultants and connect with investors to realise their ideas. Viet Nam to become "sustainable supplier"
Vu Duc Giang, chairman of the Viet Nam Textile and Apparel Association (VITAS), speaks at the Global Textile and Apparel Supply Chain Conference held yesterday in HCM City. Viet Nam could become a “sustainable supplier of choice” in the textile and apparel industry if the country continues its efforts to ensure environmental protection in manufacturing, an official said at a global industry meeting held yesterday in the city. 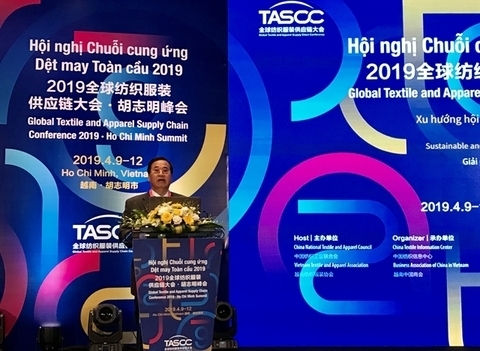 Speaking at the 2019 Global Textile and Apparel Supply Chain Conference, Vu Duc Giang, chairman of the Viet Nam Textile and Apparel Association (VITAS), said the industry creates long-term and well-paid skilled jobs since it can offer affordable labour resources. Labour costs in Viet Nam are relatively cheaper than those in China, Indonesia, Thailand and the Philippines. “Free Trade Agreements (FTAs) also play an important role in helping Viet Nam move up the value chain in the textile and apparel industry,” Giang said. The country's textile and apparel industry contributes 15 per cent of total export value and had an annual growth rate of 12 per cent from 2010 to 2017. FDI companies have so far invested about US$17.5 billion in the industry. With some 6,000 factories and employing more than 3 million people, the industry is both economically and socially important for the country. However, the sector has an adverse environmental impact. Intensive water extraction, use and discharge of waste water and high-energy consumption for water heating and steam generation are all environmental concerns. Viet Nam is one of the largest exporters of apparel goods in the world, mostly because of its low-cost production rather than its environmental standards. Viet Nam has committed to fully implementing 17 goals of the 2030 Agenda for Sustainable Development to ensure economic, social and environmental benefits. “Implementing a shared responsibility to respond to the 21st century's biggest global challenge, Viet Nam and the international community ratified the Paris Agreement on climate change in 2015. And the textile industry is part of that commitment,” Giang said. Viet Nam is also part of FTAs in which traditional tariff barriers will gradually be eliminated. However, instead of tariffs, countries could create technical barriers to protect their products. Barriers could be related to product quality, environmental standards, energy labels, and carbon labels, among others. However, the challenge is that fabrics and materials in the country still mainly depend on imports (99 per cent of cotton and fibers are imported every year), according to Giang. Export processing is mainly CMT (Cut-Make-Trim - about 65 per cent), OEM (Original Equipment Manufacturer - 25 per cent), ODM (Original Design Manufacturer) and OBM (Original Brand Manufacturer - 10 per cent). The technological level, except for sewing, remains modest, while another issue is low labour productivity, Giang noted. Bui Hoang Yen, deputy representative of the Department of Trade Promotion under the Ministry of Trade and Industry, said it was important to develop a sustainable textile and apparel supply chain partnership with China. Last year Viet Nam’s national textile and apparel exports reached US$36.2 million, with year-on-year growth of 16 per cent, she said. The country has become the world’s third largest textile and apparel exporter after China and India. Sun Rui Zhe, president of the China National Textile and Apparel Council, said the Chinese council has long been committed to promoting the social responsibilities of China’s textile and apparel enterprises. In recent years, with investment from Chinese enterprises in Viet Nam, such as Shenzhou International, Youngor, Huafu Fashion, Luthai Textile, New Wide Group, Far Eastern Group and Jifa Group, the China-Viet Nam textile and apparel industry confluence is increasing. It is important to establish a sustainable supply chain relationship for the development of the global textile and apparel industry and long-term competitiveness of the industry in China and Viet Nam, he said. Initiated in 2008 and held each year by the China National Textile and Apparel Council, the conference is an international exchange platform committed to the management and brand development of textile and apparel supply chains. The conference aims to improve supply chain management and competitiveness of Chinese textile and apparel enterprises, and facilitate their collaborative innovation in the international supply chain. The conference was attended by nearly 200 delegates from the China National Textile and Apparel Council, China Textile Information Center, International Textile Manufacturers Federation, ASEAN Federation of Textile Industries and other international organisations such as WWF and World Bank. Global ratings agency Standard & Poor’s has upgraded the long-term issuer credit rating of the Joint Stock Commercial Bank for Investment and Development of Vietnam (BIDV) by one notch from B+ to BB- and kept the outlook “stable”. It said the rating action follows its upgrade of Viet Nam's sovereign credit rating to 'BB/B' from 'BB-/B', reflecting BIDV's high systemic importance to the country’s banking system. 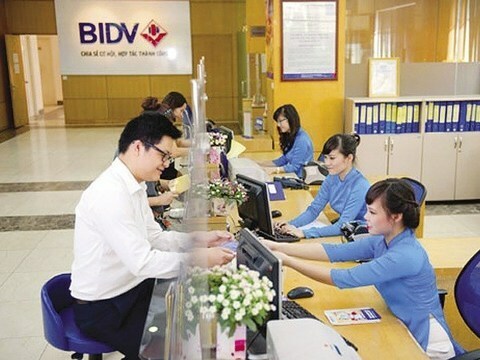 BIDV is the largest bank by total assets in Viet Nam with a dominant market share of 14 per cent of loans and 13 per cent of deposits. It enjoys a high degree of customer confidence due to its size, long operating history, and government ownership. Its management has recognised the need for capital conservation to support its financial profile and meet more stringent Basel II capital standards in 2020. The “stable” outlook reflects S&P’s expectation that BIDV will maintain its strong franchise and satisfactory profitability, while pursuing capital-enhancement measures over the next 12 to 18 months. 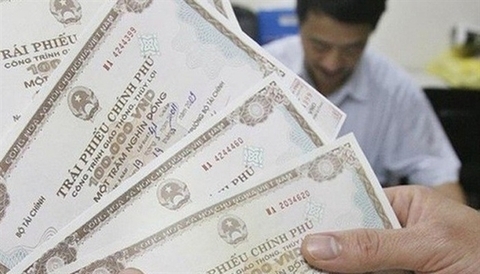 The State Treasury of Viet Nam raised VND1.8 trillion (US$78.2 million) through a Government bond auction on the Ha Noi Stock Exchange (HNX) on Wednesday. Some VND3 trillion worth of G-bonds were offered, including 10-year bonds valued at VND1 trillion; 15-year bonds worth VND1 trillion and 30-year and 7-year bonds each worth VND500 billion. The 10-year bonds mobilised VND800 billion with an annual interest rate of 4.72 per cent. A single bidder bought 10-year bonds at the price of VND500 billion, with a yield rate of 4.72 per cent at the sub-session sale. Meanwhile, 15-year bonds were purchased with a total value of VND800 billion and an interest rate of 5.06 per cent,. As much as VND500 billion was also raised via 15-year bonds at the sub-session, with a yield rate of 5.06 per cent. Four bidders purchased 30-year bonds worth VND200 billion at an interest rate of 5.85 per cent. Since the beginning of this year, the State Treasury of Viet Nam has raised more than VND66.6 trillion via auctions at the HNX. At the Vissan annual general meeting in HCM City on April 11. Shareholders of leading food company Vissan Joint Stock Company approved a number of targets for 2019 at its annual general meeting on April 11. They include pre-tax profit of VND200 billion (US$8.6 million) on revenues of VND4.85 trillion ($208.9 million), respectively 14 per cent and 9 per cent up. Speaking at the meeting, Nguyen Ngoc An, the company’s general director, said the fresh meat segment faced difficulties last year due to an increase in costs, including a strong rise in pig prices, which resulted in higher prices and lower demand. Vissan’s revenue and pre-tax profit reached VND4.46 trillion and VND175 billion last year, a year-on-year increase of 15 per cent, but just met 97 per cent and 98 per cent of its targets, respectively, he said. The meeting also approved construction of a Vissan food processing industrial cluster in Long An Province at a cost of VND1.3 trillion and facilities to slaughter 360 pigs an hour. The shareholders of Vincom Retail agreed to approve the development and investment-business plans for 2019 with the continued promotion of Vincom's presence in provinces and cities nationwide. Vincom Retail Joint Stock Company earned total net revenue of VND9.12 trillion (US$392.2 million) in 2018, up 65 per cent compared with the previous year, according to its financial report released at the second shareholders’ meeting in Ha Noi on Thursday. The report showed that Vincom Retail’s total asset value gained nearly VND38.7 trillion, with operating profit margin reaching 33 per cent. In terms of scale, last year saw the opening of 20 Vincom centres, including two Vincom centres, 15 Vincom plazas and three Vincom+. As of the end of last year, Vincom Retail owned 66 trade centres in 38 provinces and cities across the country, with a total retail area of ​​1.5 million square metres, making it the largest retail real estate investor in Viet Nam in terms of market share and number of owned shopping centres. Besides expanding scale, new Vincom shopping centres have become the most attractive destinations in each locality, playing a leading role in consumer trends and creating new standards for people's lifestyles. The Vincom Center Landmark 81 project, which was launched in the highest building of Viet Nam in HCM City in July 2018, with nearly 100 leading brands from foreign countries and Viet Nam, attracted about one million customers in the first month after opening. Thanks to rapid growth in scale and innovation in service quality, Vincom Retail welcomed nearly 160 million customers who visited, shopped and used services last year, an increase of nearly 40 per cent compared to 2017. With the trust and companionship of customers, Vincom reached the top 15 most valuable brands in Viet Nam voted by Forbes in August 2018, and was the only retail real estate brand on this list. As for the 2019 plan, the company aims to maintain its leading position in Viet Nam’s retail market both in size and product quality. It will expand the system to potential markets by opening 13 more new shopping centres this year, bringing the total to 79 trade centres. This year will also be the launch year for highlighted projects such as the Vincom Mega Mall with total area of 60,000 - 100,000 square metres in the Vinhomes urban area in the 2020-21 period. In terms of service quality, Vincom Retail will continue to bring international brands to Viet Nam and head up modern technology applications, in which the first technology application is expected to be launched with full information on incentives, events and festivals throughout the system. At the end of the meeting, the shareholders agreed to approve the development and investment-business plans for 2019 with the continued promotion of Vincom's presence in provinces and cities nationwide. The company aims to promote investment in improving product quality and comprehensive services, and to anticipate modern consumer trends to meet the needs of domestic and international consumers. 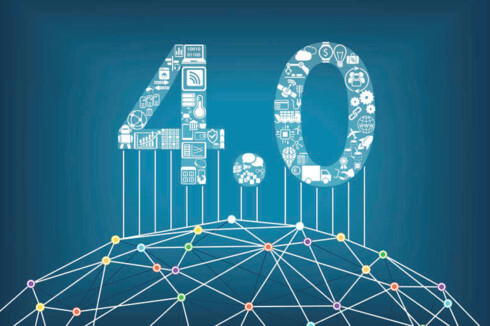 Industrial Revolution 4.0 promised to bring opportunities to the business community, especially in sectors such as manufacturing, automation, agriculture, transport, finance, banking, education and health. 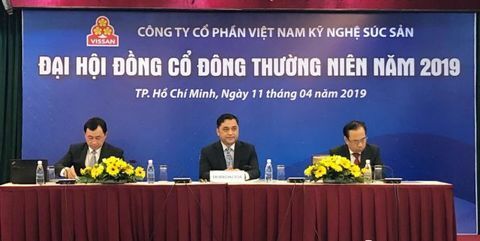 The statement was made by Hoang Quang Phong, vice chairman of the Viet Nam Chamber of Commerce and Industry (VCCI), at a forum held in Ha Noi on Thursday. Phong said the workshop was also an opportunity to introduce IoT projects in agriculture, environmental monitoring, smart urban and smart production to the business community in the context of the economy developing towards the era of innovation and sustainable development. Speaking at the conference, Dao Ngoc Chien, deputy director of High Technology Department under the Ministry of Science and Technology, mentioned the significance of IoT in State management agencies, bringing great value to save time, effort and finance for many units; especially in simplifying administrative procedures, consolidating the database system to check and control enterprises more closely. Ngo Viet Hai, sales director of Advantech Viet Nam Technology Company Ltd, suggested the Government should have supporting mechanisms for enterprises using IoT applications. “I hope the State can help enterprises connect closer with customers’ needs as well as have guidance for firms, especially foreign businesses, in juridical issues and administrative procedures,” Hai told Viet Nam News. 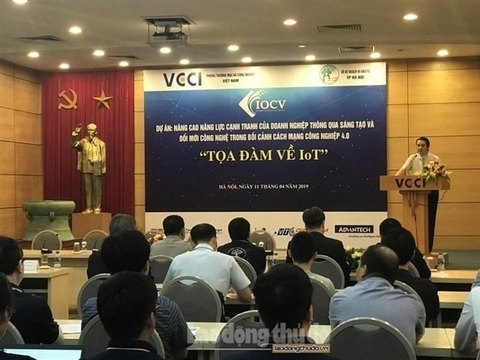 The event was organised by the VCCI in collaboration with the Ha Noi Association for SME Enterprises and IoT Open Community Viet Nam. 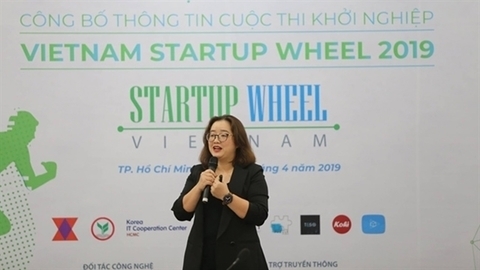 Nguyen Thi Dieu Hang, deputy director of BSSC and head of the organisation board, introduces the 2019 Vietnam Start-up Wheel in HCM City on Wednesday. Registration is open until April 30 for the 2019 Viet Nam Start-up Wheel, the annual business contest oganised by the Business Start-up Support Centre and the HCM City Young Businesspeople Association. This year the contest is also open to international start-ups who are interested in the Vietnamese and Southeast Asian markets. There will be two press briefings in Thailand and South Korea to introduce the competition and enhance communication about it through its partners in other countries to attract contestants. 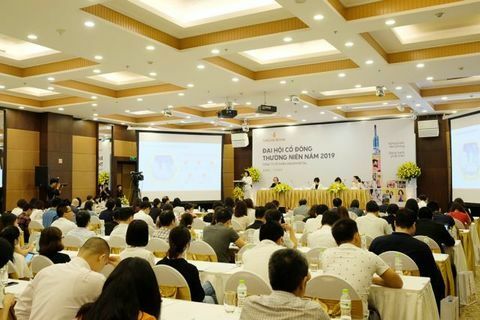 Nguyen Thi Dieu Hang, deputy director of BSSC and head of the organisation board, said the expansion to include international entries would enable Vietnamese start-ups to exchange with and learn from them while at the same time raise Viet Nam's profile in the start-up world. The competition will be divided into national and international categories, with the latter expected to attract start-ups from 10 countries and territories, including South Korea, Thailand, Singapore, Hong Kong, Japan, Malaysia and Australia. The organisers expect to receive more than 1,500 start-up ideas and projects from Vietnamese and foreign entrepreneurs. A qualifying round will pare the number to 100 for the semi-final in the national category and 50 in the international category. The final round in August will see the top 15 projects compete. In the domestic category there will be a first prize of VND200 million (US$8,617) for a company and another of VND150 million ($6,466) for an individual/team, one second prize of VND50 million, one third prize of VND20 million, and a prize of VND10 million for the most creative project. In the international category the first prize will be $2,000. The winners will also get a chance to get investment, sponsorship and consultation from experienced entrepreneurs, attend training courses in running start-up business and publicise their projects on the media. First launched in 2013, the contest has attracted 3,979 start-up businesses and models over the years. The report showed that VAMA members sold a total of 78,250 cars during the period, up 31 per cent year-on-year, in which the volume of passenger cars rose 48 per cent and commercial cars 1 per cent, while special-purpose vehicles fell by 32 per cent. 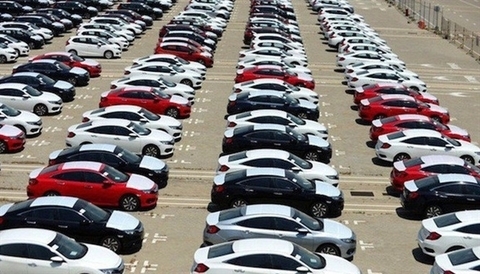 Toyota branded cars led in sales with nearly 18,970 units, followed by Hyundai Thanh Cong, Mazda, Honda and Kia, with 16,790 units, 9,500 units, 8,690 units and 7,500 units, respectively. 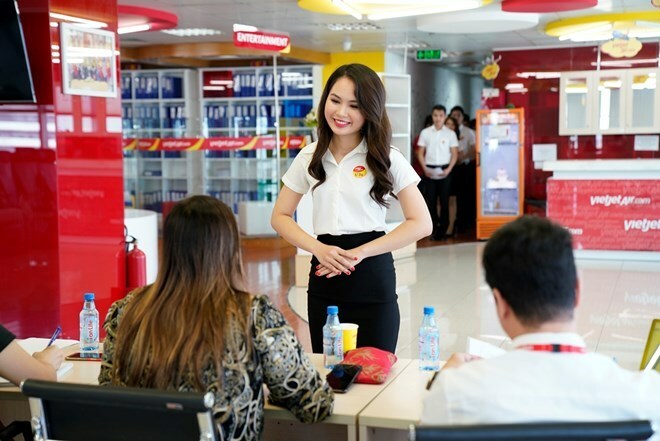 Vietjet in April hosts large-scale cabin crew recruitment in Hanoi and Ho Chi Minh City with an aim of further expanding its domestic and international flight network. All candidates from 18 to 30 years old are welcomed. Requirements and application form are available at http://careers.vietjetair.com/Jobs/Vacancy/2029. For years, Vietjet attracts high quality human resources from more than 40 nationalities, contributing to bringing flight opportunities to millions of passengers in Vietnam and international destinations where Vietjet has flight routes. Since the first flight in 2011, Vietjet’s beautiful cabin crews have always given passengers friendly and modern feelings. The cabin crew’s benefits are always guaranteed which help they bring smiles to passengers all the time. Recently, the new-age carrier Vietjet has honoured as Vietnam’s 100 Best Places To Work for the fifth consecutive year. The list is announced by Anphabe, a career network of management professionals, and market research firm INTAGE Vietnam. The carrier has been also honored with more than 30 domestic awards and dozens of major international awards. Vietjet has the certificate of IATA Operational Safety Audit (IOSA) and also be a fully-fledged member of the International Air Transportation Association (IATA). Safety and technical reliability indicators of Vietjet are on top in Asia – Pacific region with new, modern fleet and diversified services. Vietjet is the first airline in Vietnam to operate as a new-age airline offering flexible, cost-saving ticket fares and diversified services to meet customers’ demands. Currently, Vietjet operates around 400 flights daily, carrying more than 70 million passengers to date, with 113 routes covering destinations across Vietnam and international destinations such as Japan, Hong Kong, Singapore, the Republic of Korea, Taiwan, mainland China, Thailand, Myanmar, Malaysia and Cambodia.